A couple of hours ago was the official launch of Kuala Lumpur Fashion Week 2015 (KLFW). The entire place was crowded with models, dancers, designers, media, socialites and even tourists. It was located at the entrance of Pavilion so the streets there was practically a standstill because everyone wanted to catch a glimpse of the show. 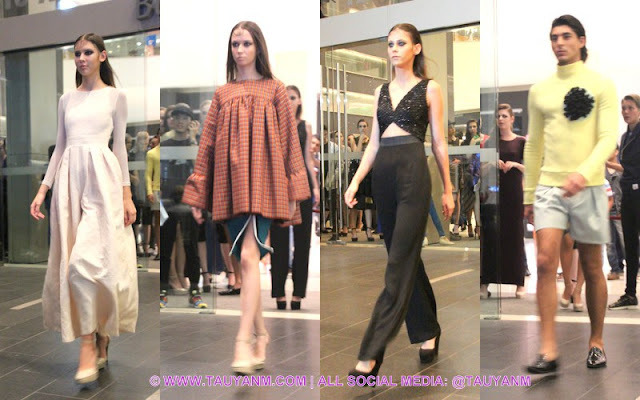 CLICK HERE to read previous post of KLFW 2015. There was a preview of fashion show of the KLFW 2015 designers. Am super excited as I spotted a few that I have already fallen head over heels for. In less than 2 days, the show will finally begin and KL will be flocked with bloggers, designers, instagramers, you name it and you'll have it! Just be ready to be in your most creative attire and who knows you might end up on a magazine or newspapers. I did a something different this time, I wanted to do a new segment on my blog. It'll be call "Who Wore What". So here are a few shots of the people I took at KLFW Grand Launch. Might be doing this for all shows, do tell me know you think.